China’s economic growth decelerated further in the latest quarter, adding to challenges for communist leaders as they fight a tariff battle with Washington. 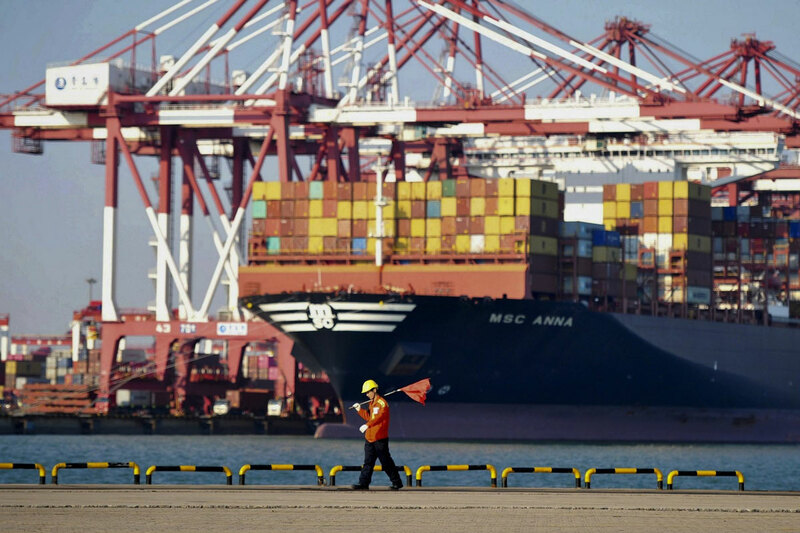 “China’s slowdown is a little sharper than expected, but basically fits our narrative for the economy,” said Bill Adams of PNC Financial Services Group in a report. Beijing’s debt controls and “trade uncertainties” are “taking a bite out of economic momentum,” Adams said. Communist leaders express confidence their $12 trillion-a-year economy can survive the conflict with U.S. President Donald Trump. But export industries have begun to suffer from American tariff hikes of up to 25 percent on Chinese goods. “Downward pressure has increased,” Mao said at a news conference. Growth in retail spending and investment in factories and other fixed assets, which are much bigger parts of the economy than trade, slowed in the latest quarter, though to still-robust rates. Beijing has cut tariffs, promised to lift curbs on foreign ownership in the Chinese auto industry and taken other steps to rev up growth. But leaders reject pressure to scrap plans such as “Made in China 2025,” which calls for state-led creation of Chinese champions in robotics and other technologies. Washington, Europe and other trading partners complain those plans violate Beijing’s market-opening commitments. Trade accounts for a smaller share of the economy than it did a decade ago but still supports millions of jobs. On Thursday, the Commerce Ministry promised official help for companies that have suffered due to the American import controls.